Face to Face in Fort Worth / Weatherford Texas area. All unopened. 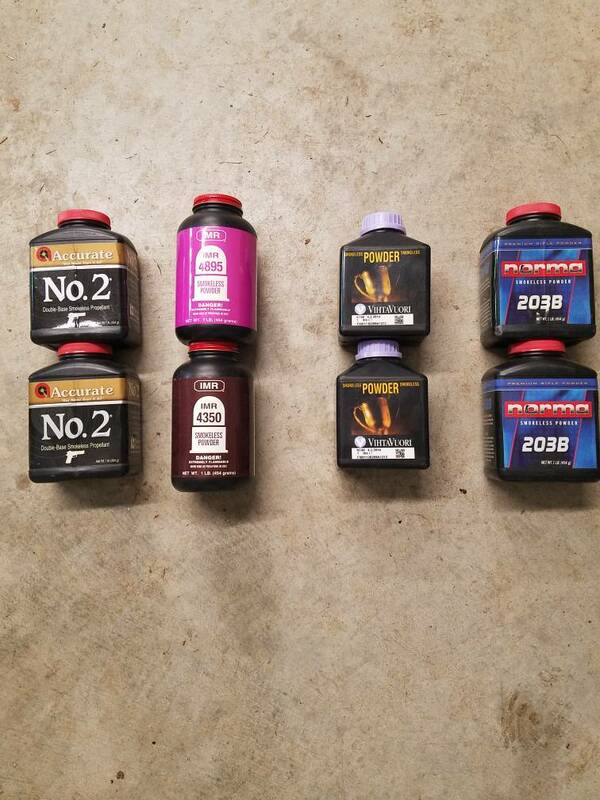 $20 per pound or trade for unopened 3f Blackpowder, IMR 4198, IMR 3031, or Red Dot only. Great price: especially for the foriegn powder!